This was one of my proudest moments as a jiu-jitsu coach. The future of jiu-jitsu is in good hands and I’m happy to have a small fingerprint of this generation’s brightest star. Congratulations to Precision MMA’s newest Brazilian Jiu-Jitsu purple belt Johnny Miranda! Johnny has been one of Precision’s hardest working members for the past three years and he has now joined the exclusive club of Brian McLaughlin purple belts. In addition to training BJJ, muay thai and MMA Johnny is also a rock star – he’s the lead singer and front man for the group Via Vanity. At this weekend’s USA boxing’s NY vs. Upstate event, Precisions MMA’s Jay “Jaynormous” Lee won in dominating fashion. This was Jays Debut fight and he worked really hard with our boxing team to get ready. He put in the hours of training and dieting to prepare his body. Precisions boxing team has several pro fighers on our sparing team, meaning our fighters will be prepared for anything thrown at them. We even bring in fighters from other gyms to give our students comfort in uncomfortable situations. This also simulates the anxiety of facing an unknown opponent. Jay was up against a much taller south paw fighter. The kind of fighter that is most peoples worst nightmare, coach Derrick gave him the tools he needed to go in with confidence. Jay worked his way to the inside and landed thunderous body shots en route to an impressive victory that turned heads and garnered praise from all spectators. Our classes consist of muay thai, boxing, Brazilian jiu-jitsu, and vale tudo. Many of these classes have different levels you can take according to how skilled you are. Unlike other gyms, we have several different forms of martial arts and beginner, intermediate, and advanced levels. We ask our young students to bring in their report cards when they come in. 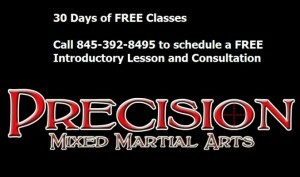 If you have perfect attendance in the last marking period, you receive a free private lesson. This gives the children motivation to get to school and to get good grades. All of our instructors are experienced in what they teach. The head coach and owner, Brian Mclaughlin has had over 15 years of experience, has been on the Ultimate Fighter, and has a black belt in Brazilian jiu-jitsu. 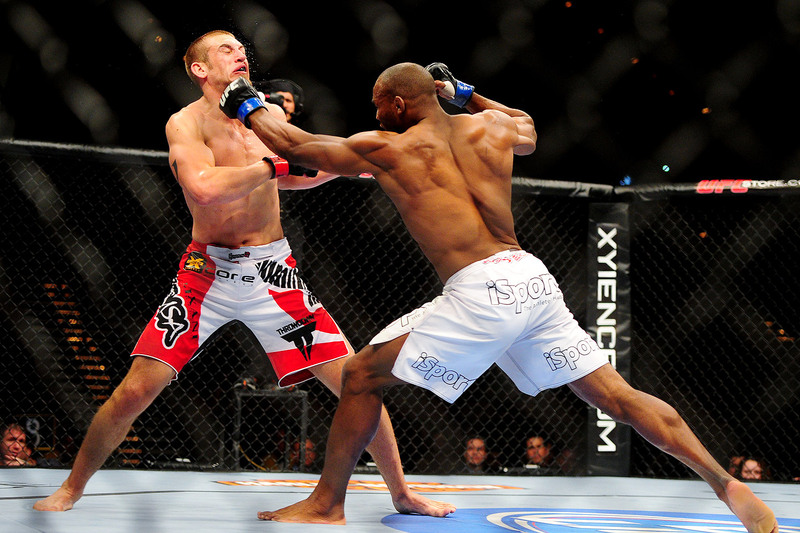 He trains multiple UFC fighters and has won several lightweight champions. Other coaches, such as muay thai coach Karl Nemeth, is the current Trinity kickboxing champions, AKBF muay thai champion and Kaged Kombat featherweight MMA champion. Our coaches are equipped to make anyone into a competitor. We make sure each competitor is prepared for their journey ahead. 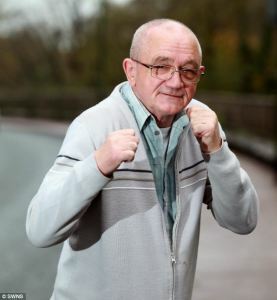 Whether you’re 7 or 50, experienced or not, you can train MMA here. Each person has a class to fit into that works for them.